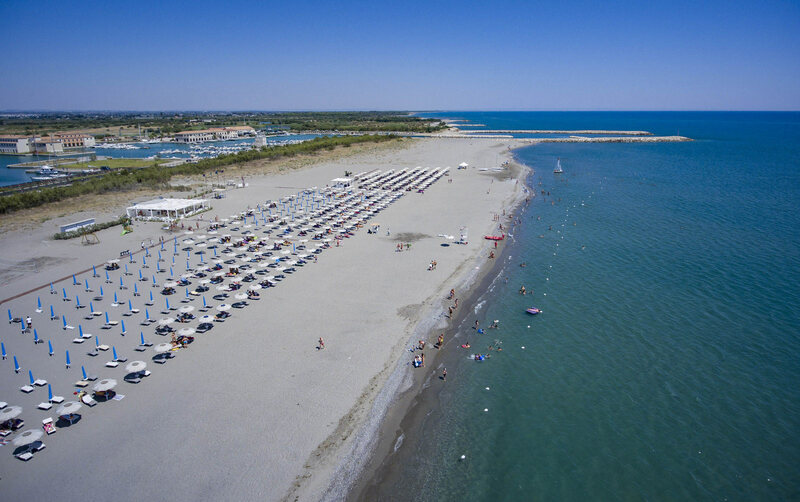 Hotel Marinagri is set in the heart of the Magna Graecia, name given to the coastal area in the most Southern part of Italy, filled with a rich antique heritage and protected natural landscapes. 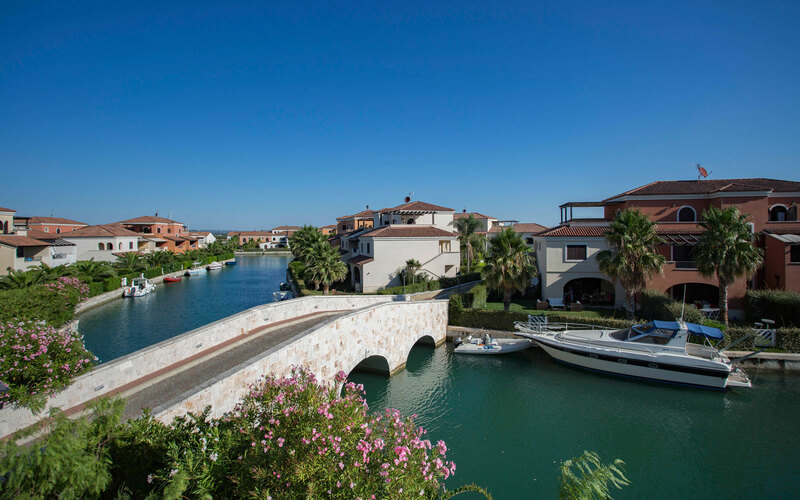 Located in a lovely marina overlooking the Ionian sea only 6km away from the town of Policoro, Hotel Marinagri sits over a man-made island accessed via a little bridge. 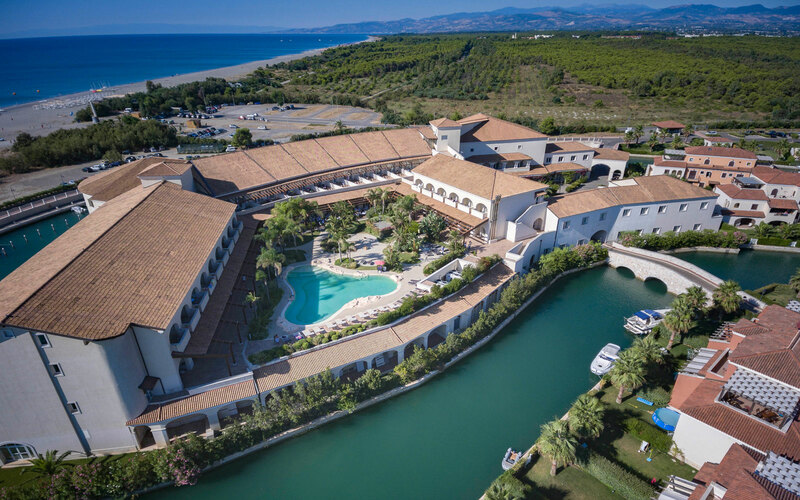 This 5 star resort offers an unusual yet well thought-through setting for guests wishing to enjoy a relaxing holiday by the beach whilst also staying close to the many points of interest the Southern part of Italy and the Basilicata region in particular has to offer. Hotel Marinagri presents guests with two choices of restaurant: located in the main part of the resort near the swimming pool, the Luna Restaurant proposes regional and national dishes in an informal and modern setting, both indoors and outdoors (assigned restaurant for half-board guests) and Le Terrazze Restaurant (independent from hotel, at local cost), situated on the port, which offers a more exclusive alternative dinning option for lunch and dinner, with an a la carte menu featuring traditional locally sourced dishes. 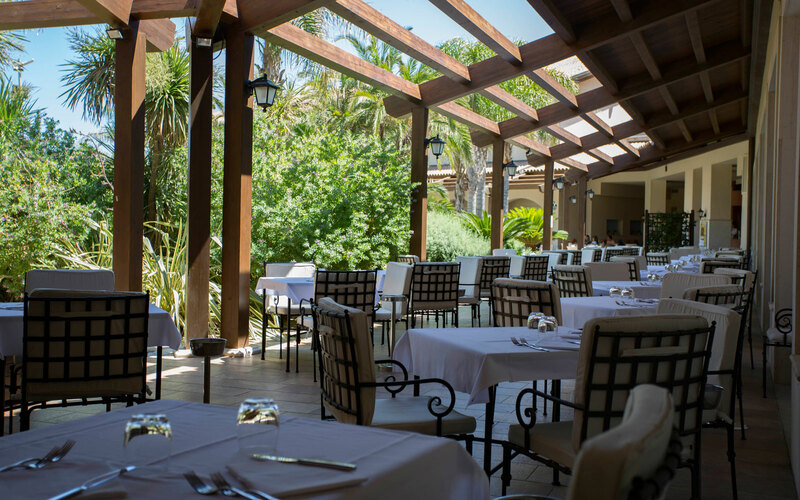 Throughout the day, refreshments and light snacks are served in the 4 bars available: The Lido Lounge Beach Bar on the beach, the Garden Pool Bar located around the swimming pool, the Bay American Bar in the lobby and the Wine Bar Bistrot situated on the marina. 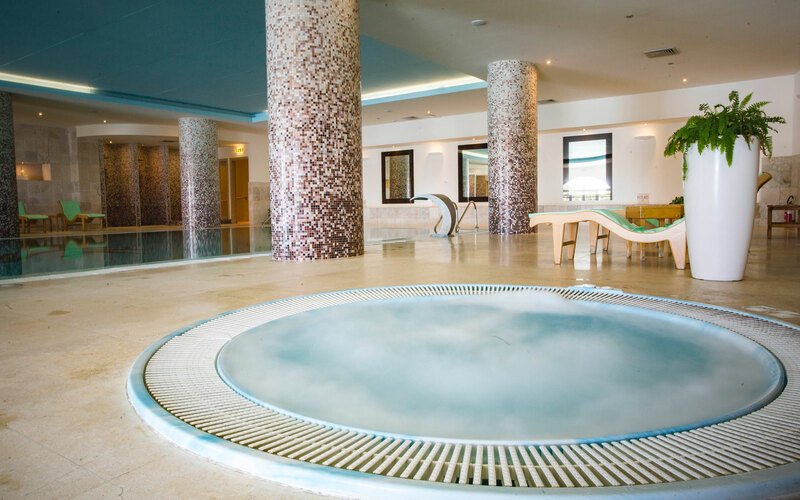 The health circuit at the Aqua Spa in Hotel Marinagri is an oasi of well-being and relaxation: bio-sauna and Finnish sauna, Jacuzzi, Turkish Bath, indoor pool, emotional shower and a relaxing room to enjoy some herbal teas after a treatment. The hotel benefits from its own private section of beach, only 300m away and easily accessible via a pedestrian footpath. Sun-beds and umbrellas are available and the Lido Lounge Beach Bar proposes snacks and drinks for lunch. 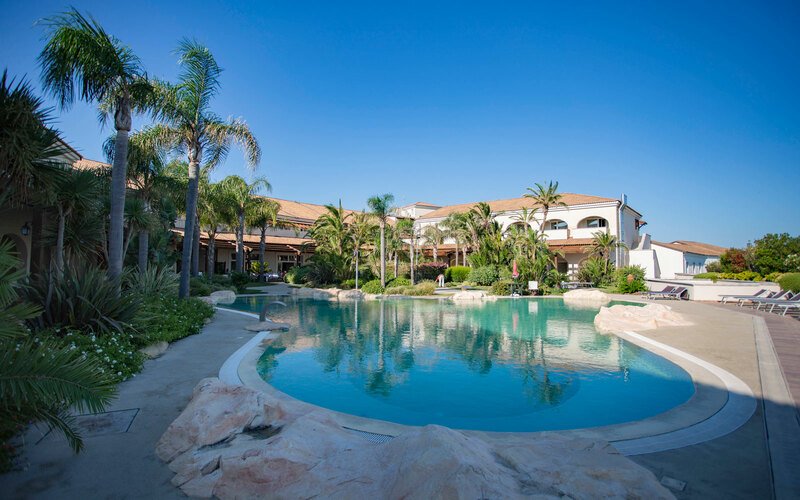 The entertainment team at Hotel Marinagri proposes a wide range of activities for adults and children (from 4 years old onwards) during the day and shows in the evening. Extra activities like football and tennis are available upon request and at local cost. 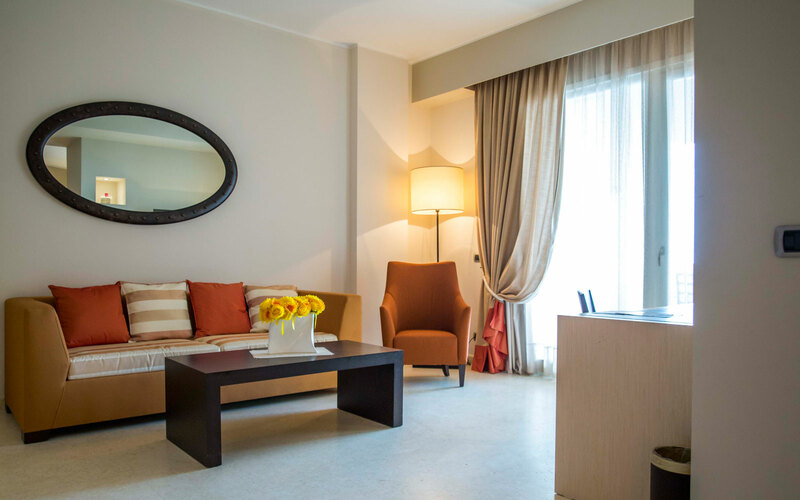 The 95 guest-rooms and suites are bright and modern and equipped with Flat-screen TV, mini-bar, telephone, safe, hairdryer. 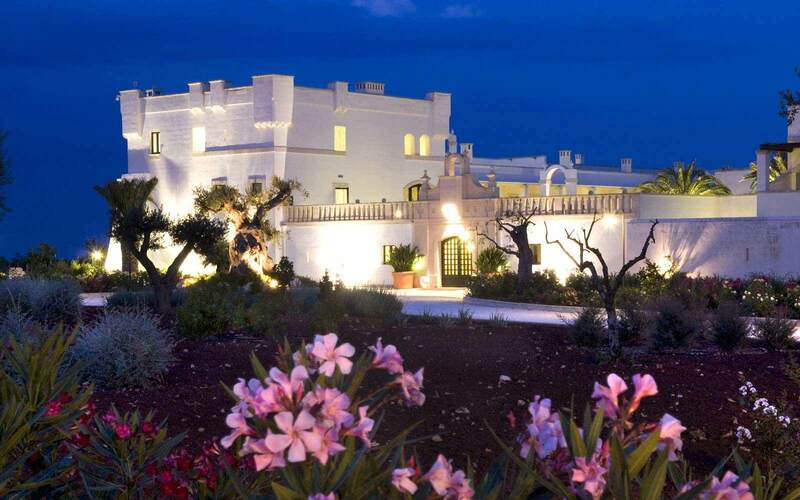 Standard: first or second floor 25sqm double room with ensuite shower room and private terrace/balcony overlooking the garden, the pool or the sea (on request only). Can accommodate up to two adults and two children. 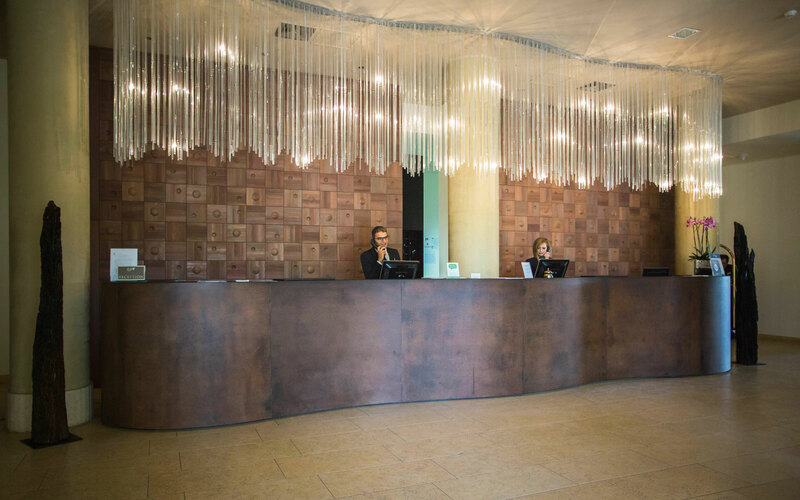 Certain rooms available for guests with mobility difficulties, enquire at time of booking. 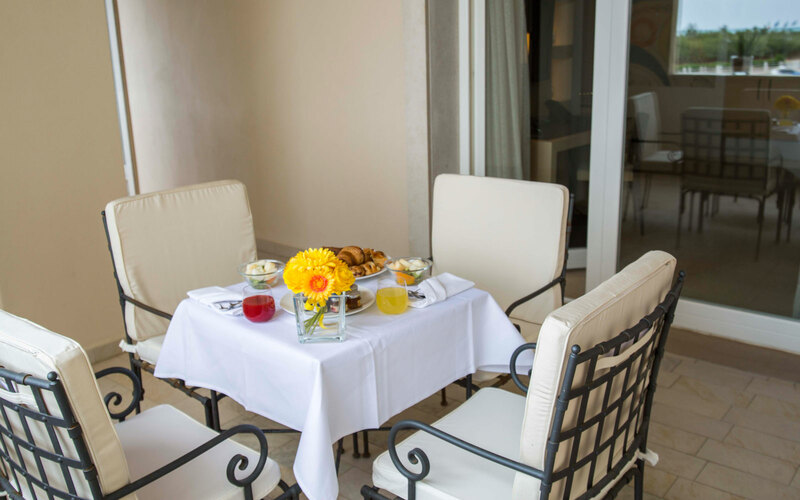 A ‘Superior package’ can be booked in advance and includes the following daily benefits: fast check-in, coffee machine, newspaper, free mini-bar, fresh fruits in the room, wellness circuit, reserved sunbeds and umbrella. 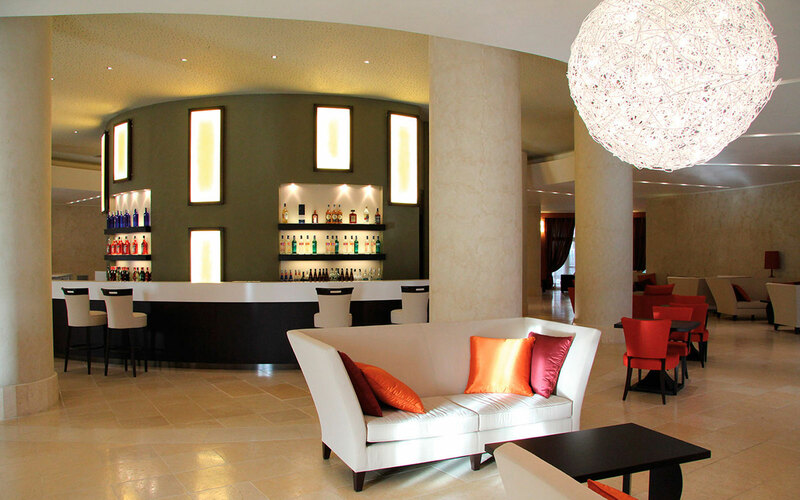 'Hotel Marinagri was recommended to us by the lovely lady working at the Sardatur. 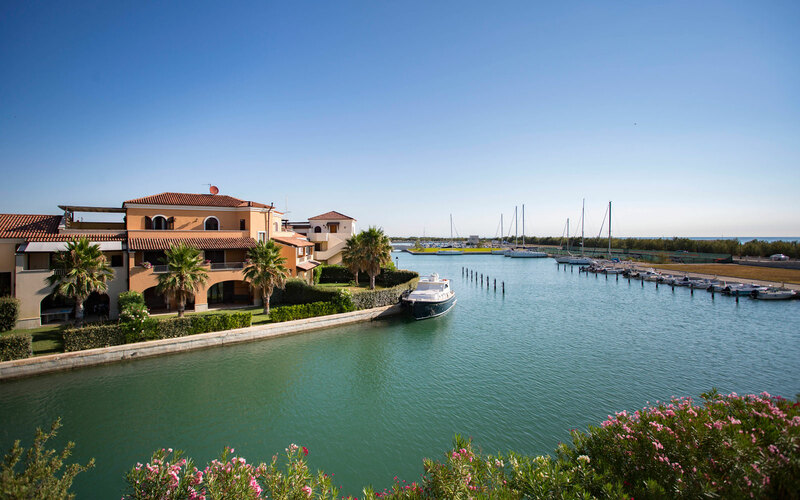 We were very happy with the choice, she understood what we were looking for and we had a fantastic holiday in Italy. Already recommended the travel agency to my friends and hope to use Sardatur again next year. 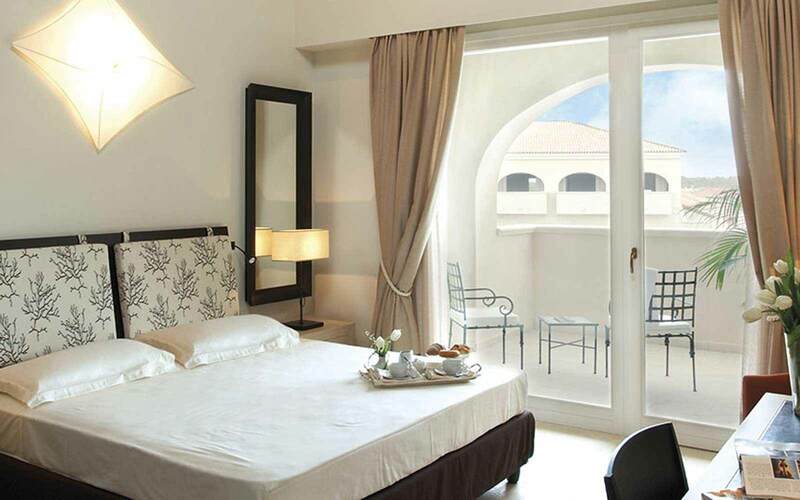 If peace and quiet is what you are looking for, Hotel Marinagri is the place. 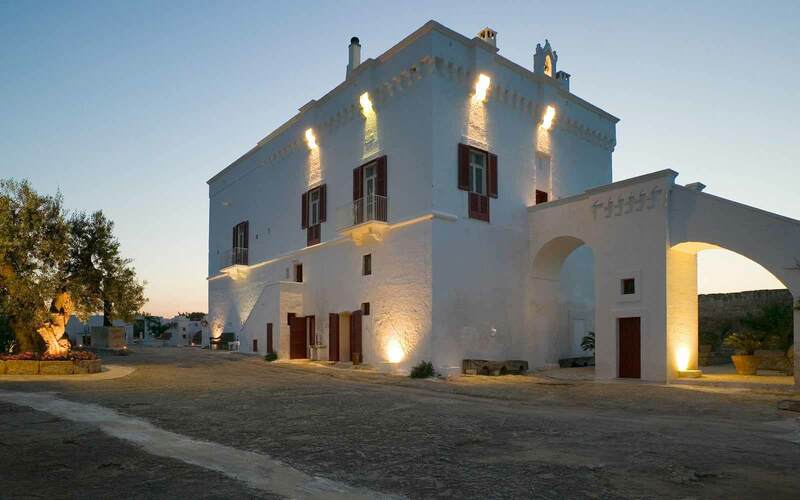 Beautiful hotel, all the staff were friendly and tried to accommodate all our needs'.